The Worcester luxury folding card table has a wooden frame with individual click-lock action legs with a superior mechanism. Other customers buy a storage bag to help protect their new table(s) when not in use - would you like add one to your order? The Worcester luxury bridge table has a wooden frame with an attractive warm mahogany finish and bevelled edges. The playing surface is a deep green cotton fabric that has been treated to be anti-static, water repellent and stain resistant. The beauty of both this table and the Marlborough tables are the superior quality click-lock action legs, which are by far and away the best on the market. 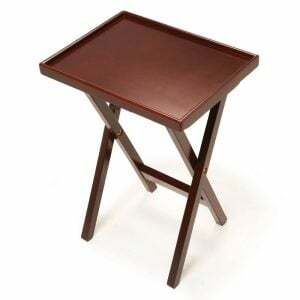 This is our best selling folding square wooden card game table. Weight 8.3kg. H72.5 x W82 x D82cm.